WhatsApp launched its UPI-based Payments feature in beta earlier last month to give the netizens of India a taste of how its digital payments platform will work in their messaging client. 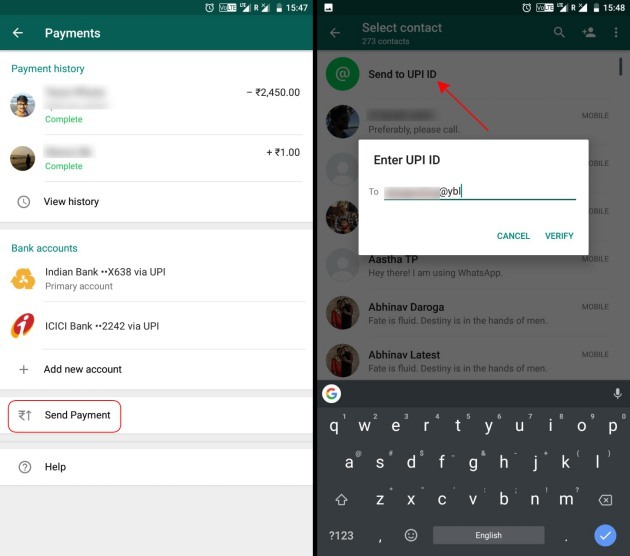 They had previously only highlighted the transfer of money to your contacts, hiding the option to send money to any UPI virtual payment address (VPA) within the settings menu. However, WhatsApp has now made the option to ‘Send Payment’ more visible under the Payments settings menu. This means you can also transfer money to a unique VPA without having to navigate to an individual group or personal chat. 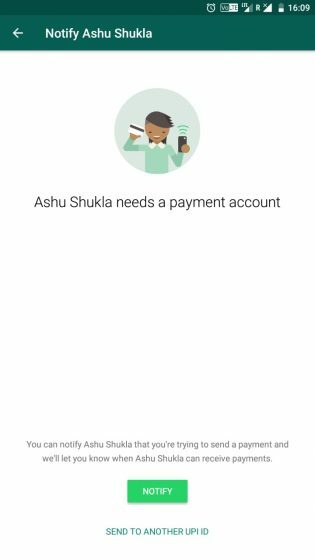 This option is also making it easier for you to notify others in your WhatsApp contact list to set up ‘Payments’ for them to be able to transfer money via the app itself. Note: I tried this method on WhatsApp (beta version 2.18.83) on my Xiaomi Redmi Note 3, running Android 8.1 Oreo. 1. The ‘Send Payment’ feature can be accessed by navigating to Settings > Payments > Send Payment > Send to UPI ID and type the VPA of the recipient you’re trying to send money to. 2. 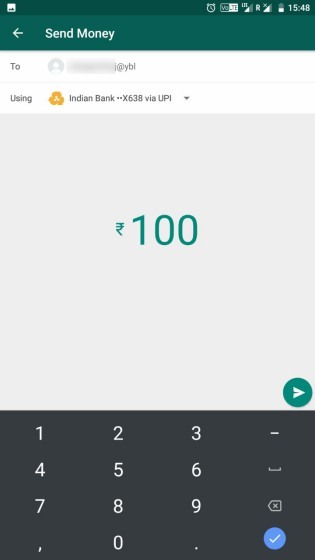 Once you enter the UPI VPA and tap verify, you’ll be shown the name of the recipient and then the option to enter the amount you’d like to transfer. You’ll then enter your UPI transaction password and complete sending money to someone not on your contact list. Prior to this feature, you could only transfer money by tapping on the ‘Attach’ button in the message box and then selecting the ‘Payment’ option. This feature is accessible for both individual, as well as group conversations within WhatsApp.